National Youth Service (NYS) Principal Secretary Lillian Muthoni Mbogo and 54 others who are accused of looting a whopping sh9 billion from the NYS will have to spend several nights in custody. This is after the court denied them bail and set the bond ruling for next week.The suspects will remain in police custody until Tuesday, June 5 , when the court will decide whether to release them on bail or not pending trial. This comes even as the suspects pleaded not guilty of all the charges levelled against them. They also unsuccessfully tried to persuade Nairobi Chief Magistrate, Douglas Ogoti, to release them on bail. Reports indicate that the suspects were thrown behind bars after the Director of Public Prosecution (DPP) managed to block their bails. The DPP argued that the suspects could not be let go on bail because they posed a flight risk and that some of them were likely to intimidate and interfere with witnesses. The women in the group of thugs were taken to Langata Women Prison and the men were taken to Industrial Area Remand. They will await their ruling on the bond terms by the Chief Magistrate next week. 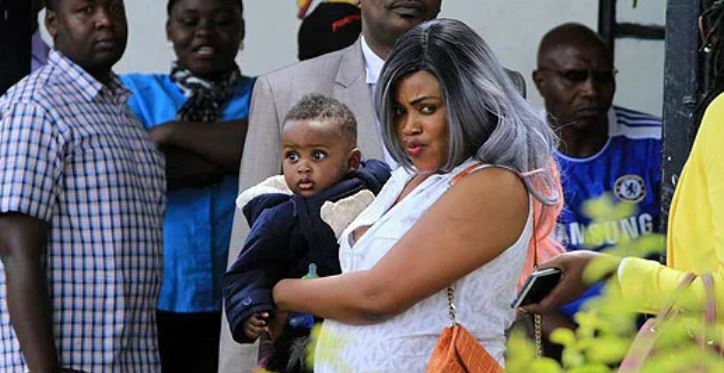 Next article20 hot and S3XY PHOTOs of NYS thug, ANN NGIRITA, “Rangi ya thao, rangi ya pesa, EISH! !